MAGENTA announced today that it will exhibit at ProFood Tech, booth 1441, being held at McCormick Place in Chicago, March 26-28, 2019. MAGENTA, a family-owned provider of plastic injection molded products, assemblies and packaging solutions, is one of the only certified woman-owned plastic injection molding companies in the country to also obtain Safe Quality Food (SQF) certification. MAGENTA provides plastic injection molded solutions, such as caps, closures and containers to the Food and Beverage Industry. From start-ups to globally-recognized Fortune 500 companies, MAGENTA has worked with many companies designing, engineering and assembling their plastic injection molded products, some for over 20 years. For those seeking more information about MAGENTA, attendees can meet one on one with company representatives by visiting Booth 1441 during the event. To attend the event FREE, register at www.profoodtech.com and utilize access code: 88X92. Established in 1969, MAGENTA LLC is a family-owned provider of injection-molded products, assemblies and packaging solutions to partners who value its dedication, certifications and diverse market experience. MAGENTA’s markets include, but are not limited to, Food and Beverage, Household Products, Healthcare/Medical, Personal Care Products, Pharmaceutical and Car Care Products. MAGENTA’s custom and stock products are proudly Made in America, from the recently-renovated headquarters just outside of Chicago, in Lockport, IL. Having recently received SQF (Safe Quality Food) certification, MAGENTA LLC is one of the only plastic injection molding companies in the country that is both certified as Woman-Owned and has obtained SQF certification. These designations illustrate MAGENTA’s continued efforts to improve its processes and systems to better support its customers in quality and supplier diversity. MAGENTA, LLC a Chicago-based, plastic injection molding company has been certified as a “woman owned business” by the Women’s Business Enterprise National Council (WBENC), making it one of the only certified woman-owned, plastic injection molding manufacturers in the State of Illinois. 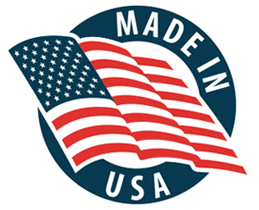 At MAGENTA, “Made in America” means you benefit with the highest quality plastic injection molded merchandise designed, manufactured and delivered from our Chicago area location. It is about the commitment of our diversified workforce to deliver the highest levels of quality and service to you. MAGENTA’s Lockport, IL facility has been certified by NSF International to SQF Edition 8. Intended for companies whose products come into contact with food, this certification assuring consumers that their food products have been prepared to the highest possible standards.